Christians have worshipped at St James Church for over 800 years. Our church community regards itself as at the centre of village life. We provide opportunities for worship and wider community support through our many activities. Last Christmas we counted over 600 people at our various services. More village people probably meet at St James than at any other place in the village. We have services every Sunday and Thursday mornings. The usual Sunday pattern is Parish Communion at 9am and Prayer Book Evensong at 6pm. On the first Sunday of the month, there is a shorter Family Communion at 9am and a traditional language Holy Communion at 6pm. We try to cater for all styles of worship, both ancient and modern. You are also very welcome to join us at any of our many social activities. Details are in the church porch/in The Biddenham Bulletin or in the Calendar section of this website. 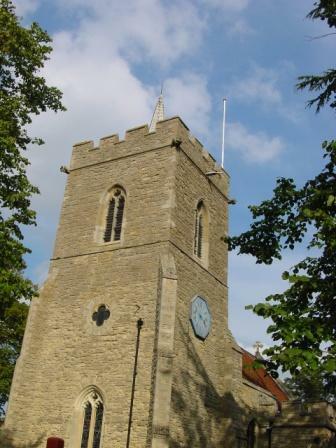 Biddenham is a joint parish with All Saints Kempston Rural. St James has eight bells – six dating from 1787, when five old bells were recast into six (although the tenor bell which cracked was recast again in 1896), and two from 1986.